The Texas Hill Country has become one of the most sought-after areas in the Lone Star State...and we can’t say we’re surprised. Our prime location, insanely beautiful views, great schools, and charming small towns are universally appealing. 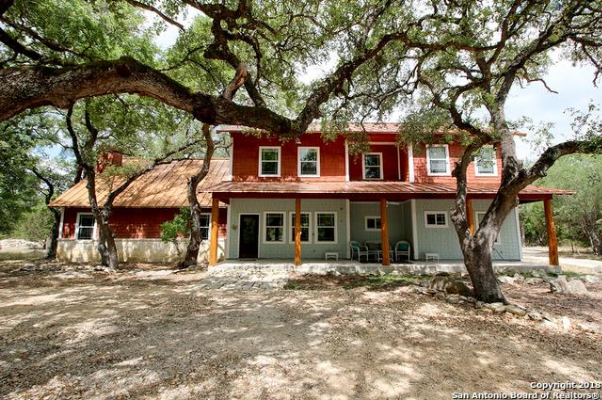 From families to retirees, everyone seems to be searching for their own little piece of the Texas Hill Country. But just how do you get started? 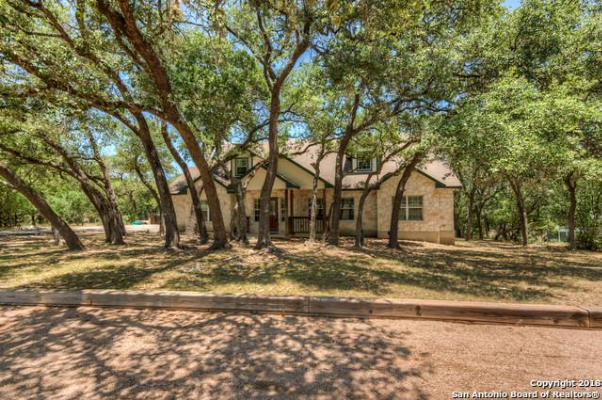 If you're considering upgrading to a Hill Country home, here are 5 neighborhoods (in no particular order) to get you started. Set on over 750 acres in the adorable small town of Bulverde, TX (just north of San Antonio via Hwy 281), the master-planned community Johnson Ranch is composed of ten smaller subdivisions, each of which offers different lot sizes, features, and price ranges (with an overall median sale price of $355,000). Though this neighborhood offers a large number of homes (approximately 1,000), nature lovers need not fret: about one-third of the total acreage will be set aside for open space, amenity parks, and trails peppered filled with outstretched oaks. Johnson Ranch homes (which espouses a distinctly "ranch-like" lifestyle) are perfect for buyers wanting a true taste of the Hill Country. Click here to search for homes in Johnson Ranch. 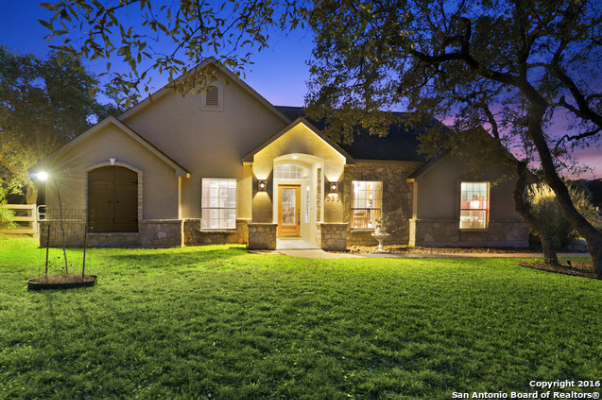 While several outlying San Antonio neighborhoods hint at the Hill Country’s rustic charm, no suburb experience can quite live up to River Crossing, a luxury community located west of Canyon Lake in the small town of Spring Branch, TX. The neighborhood’s semi-rural location (40 miles north of downtown San Antonio via Hwy 281) gives residents full access to the Hill Country’s wild landscape (including the sparkling Guadalupe River), all while remaining close to city perks via Hwy 281. Neighborhood perks include tennis courts, basketball courts, walking trails, picnic areas, and close proximity to the Hill Country golfer’s paradise: River Crossing Club. Homes in River Crossing are well-known for spacious, private lots and homes that fuse rustic charm with modern elegance. With approximately 1,000 home sites (with a minimum lot size of 1 acre), buyers are sure to find the perfect fit. Due to the variety of acreage and home styles, River Crossing properties can range anywhere from the mid-$300,000s into the $800,000s. Click here to search for homes in River Crossing. A small gated community within the exclusive community of Spring Branch, Windmill Ranch encompasses roughly 368 acres of beautiful Hill Country landscape (including greenbelt space and mature trees). Due to its outstretching size, Windmill Ranch's lot sizes are equally generous, ranging from 1½ to 5 acres. The median sale price in this community is approximately $422,500, so buyers of different budgets should be able to find a move-up property within their means. This neighborhood is also known for its tight-knit community, friendly neighbors, and social gatherings, a key element to true "Hill Country living!" Click here to search for homes in Windmill Ranch. Also located in Spring Branch, Whispering Hills is a community well-rooted in Hill Country soil (dating back to the early 1970s). 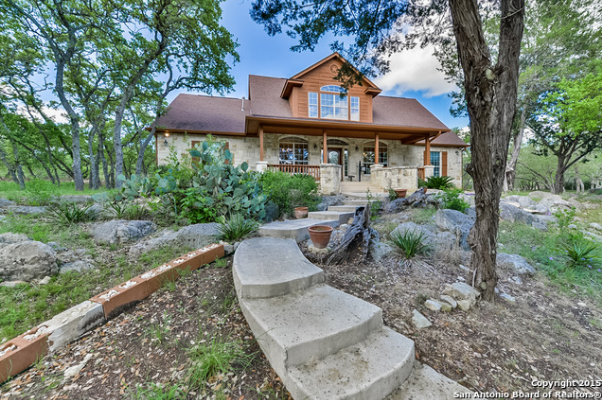 Located approximately 20 miles north of San Antonio (across from Smithson Valley High School in the highly reputable Comal ISD), Whispering Hills residents enjoy close proximity to Canyon Lake, along with the rest of the beautifully diverse area. Homes in this community are known for their excellent value (prices ranging from the $300,000s to the $500,000s) and generous acreage (an average of 1.3 acres). Click here to search for homes in Whispering Hills. A community with a rich diversity of housing prices (reaching from the mid-$200,000s up to $1 Million+), Cypress Springs immerses its residents in the Hill Country landscape. Located 30 minutes northwest of New Braunfels on TX-46 (and just outside the tiny town of Spring Branch, TX), Cypress Springs encompasses 2,700 acres of Hill Country land, boasting just under 500 properties. The neighborhood's wide open space offers mature oaks and glorious views, along with a gated private six-acre river park, Guadalupe River waterfront access, and more. Plus, if you’re interested in building your dream home in this gorgeous area, land plots generally begin in the $100,000s. 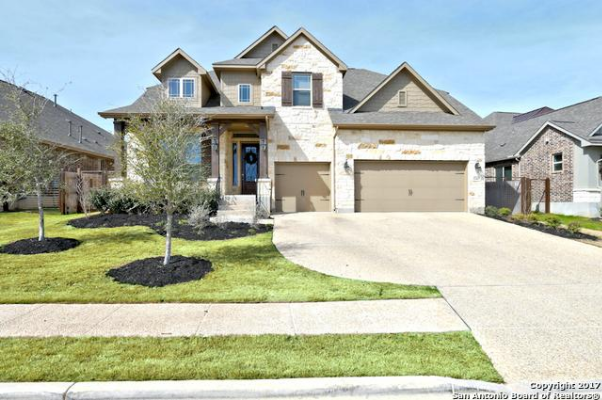 Click here to search for homes in Cypress Springs. The Hill Country has always been known as the classic Texan paradise. To discover where you fit, from farm and ranch to luxury, contact one of our licensed agents! Plus, download our exclusive Buyer’s Guide to discover tips written specifically for the Hill Country buyer.